Megan attended gifted education classes throughout her elementary and high school career, and was a standout among female athletes. She also learned to play piano and some guitar, and earned numerous college scholarships thanks to her academics and music performance. At the end of her senior year, she chose an offer to play Division 1 women’s softball on a full scholarship. This new world offered unlimited possibilities; and although most were positive, she could never quite find her niche. The parties and out-all-nights were endless, and immaturity mixed with inexperience proved to be a toxic combination. After her freshman year, she returned home. Back in her hometown of Centreville, about 15 miles from “down home” Pinetucky, Megan settled in and began working a couple of jobs at a time. Over the following few years, not much else changed…when work was over, there was always a party, a backroad, or some other rambling to be done. Once so streamlined on goals and ambition, she had lost her way, and no fleeting direction seemed to stick. Then one night, alone in her new house at age 22, going through a divorce with a new baby daughter, the jobs and the stress and the endless bills all came crashing in. To get her mind off it all, Megan picked up the Takamine her dad gave her at 15 and wrote a song. It felt good. From then on, she got together with friends and played guitar and sang songs everyone knew, just for fun. She never dared to share her original songs (by then there were many) and kept her writing to herself. It was the perfect release; the perfect outlet for all the pressures she endured day to day as a young single mother. It wasn’t until well into her second marriage, and after her second child, that Megan’s first paying gig came along. She was experiencing something she hadn’t before: an encouraging, supporting partner who pushed her to follow her dreams. After that first gig, it was like a fire was lit that only kept burning brighter. She began scheduling more and more performances, wrote more songs, and met musicians who helped her figure out what in the world she was doing. By 2014, Megan’s performance schedule included dates in Tennessee, Georgia, Oklahoma, Arkansas, Florida, and Mississippi. Determined to make a career out of music, she worked tirelessly honing her writing skills, booking shows, performing, and learning as much as possible about the business. 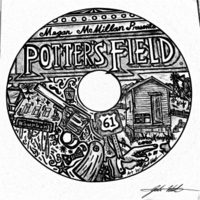 Megan has certainly found her niche, with her honest, edgy take on traditional country. Her writing can be humorous, deep, poetic, and intense; mixed with her vibrant, warm-textured vocals, she offers something unique to the country music community. After a busy 2014 filled with the release of her first and second singles, a rigorous performance schedule, and her first series of prestigious songwriter festival invites, Megan welcomes 2015 with an open mind and a motivated spirit. She is living proof that it is possible to pursue a demanding career and still be “Mama” first and foremost. Megan’s independent debut album is expected for release in fall 2015, with more progress and touring to follow.